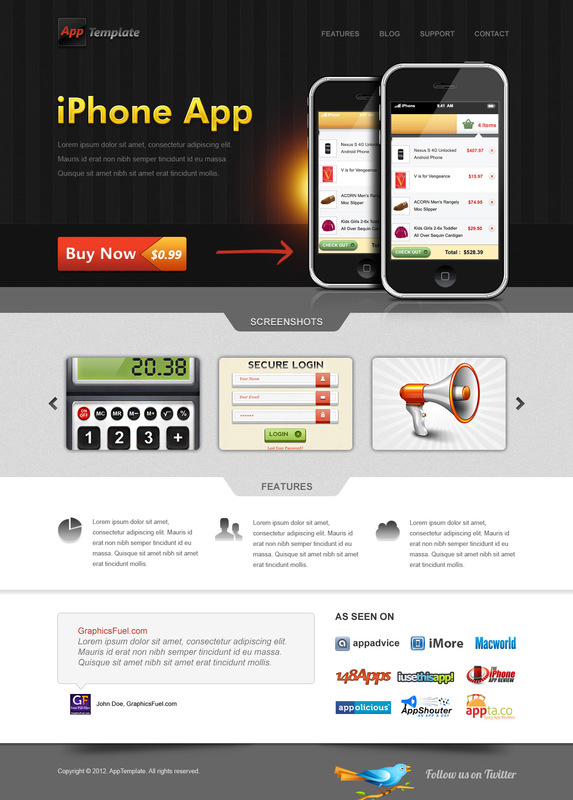 Friends, today’s freebie is a PSD template for iPhone App website. Named AppTemplate, the design comes as a fully editable homepage design in Photoshop format ready to be coded for your next app website. The PSD design is sleek and modern with each section / part organized in named folders to help you make necessary changes to fit your design need. Scroll down and download the template and share a copy of the coded version if you'd like to. Thanks much! Thank you very much! You make a good work with these PSD files. 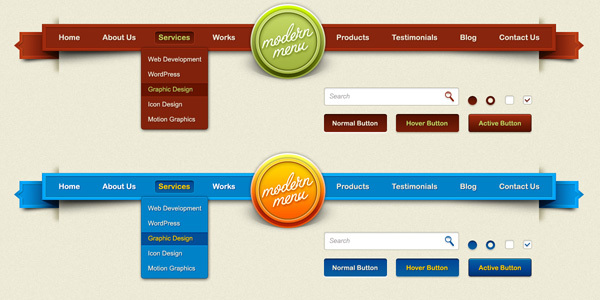 This PSD template was very well organized. So easy to work with. I might code some other templates from you. I’ll let you know. Hello, Rafi! Thanks for this PSD template. I just finished coding it in HTML & CSS. I also added a features page, a support page, a contact page and an image slider in the homepage. Great work, Anil. Thank for sharing. I will spread the word.